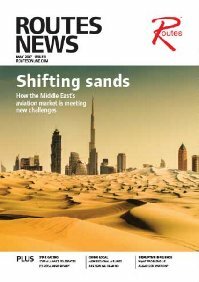 With a surge in low-cost carrier (LCC) capacity following Eastern Europe’s embracing of open skies, the region’s increasingly competitive aviation market has become one of the fastest growing in the world. 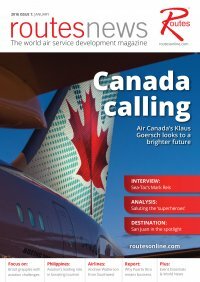 So concludes management consultancy Oliver Wyman’s Global Fleet & Maintenance, Repair, and Overhaul (MRO) Market Forecast Summary 2018-2028, which notes how eastern Europe’s growth outstripped that of the more mature Western European market over the past ten years in terms of fleet capacity and availability seat miles (ASMs). Eastern Europe’s capacity more than doubled from 2008 to 2018, the report shows, having grown at a compound annual growth rate (CAGR) of 6.6 percent compared to 3 percent for Western Europe. Meanwhile, its share of Europe’s capacity grew from 9.4 percent to 13.6 percent. 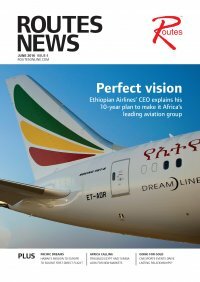 Further reasons for optimism include eastern Europeans’ rising purchasing power and the increasing affordability of flights, stemming largely from the downward pressure on airfares created by LCCs, whose meteoric rise followed the inclusion of Eastern Europe within Europe’s single sky agreement. 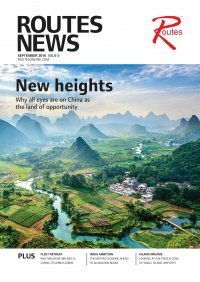 At this moment, notes Sven Kukemelk, co-founder of aviation consultancy NA Advisory and deputy COO at Adria Airways, “low-cost carriers moved from niche player status to a trend-setter position”. Open skies forced the region’s legacy carriers to restructure, for which they were less prepared than their west European counterparts, notes Kukemelk in his study Do regional airlines in Eastern Europe have the right to survive in the European single sky agreement? Moreover, EU rules barring governments from financially propping up legacy carriers lead to the scrutiny of carriers’ finances, contributing to the demise of recently re-nationalised Hungarian carrier Malév. In contrast, public funding continued to be used to support regional airports that then offered LCCs financial inducements to develop routes, resulting in “low (effectively subsidised) prices”. Air Moldova was a more recent flag carrier casualty. When the Moldovan government signed the Common Aviation Area Agreement with the EU in 2012, it lay the foundations for the recent surge in low-cost capacity at Air Moldova’s Chisinau International Airport hub, where key players now include Blue Air; Wizz Air, which based a second aircraft at Chisinau in December; and Chisinau-based Fly One, launched in 2016. Eventually, the Moldovan government decided to privatise the loss-making carrier, which was acquired last October by a consortium led by Romanian LCC Blue Air. Data from OAG’s Schedules Analyser shows the number of available departure seats from Moldova more than doubled between 2013 and 2017, rising from 808,031 to 1,708,454. Legacy carriers adding Chisinau routes last year included Ukraine International Airlines (UIA), Aeroflot and Belarus flag carrier Belavia, which launched a five-weekly service to Minsk in October. Belavia’s main focuses, however, include growing its network of flights to the Russian Federation and transit passengers at Minsk National Airport, with a new initiative this year offering free stopovers. Another national carrier facing increased cut-price competition on its doorstep is Romania’s Tarom. 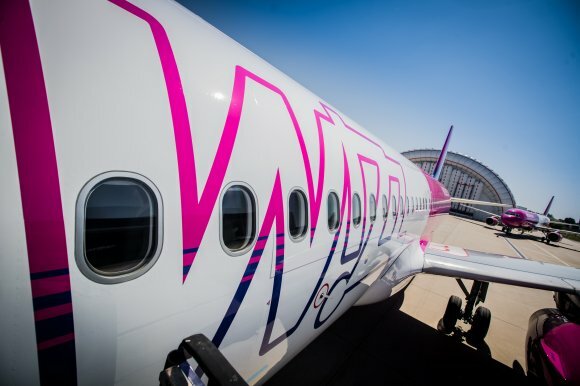 Wizz Air, which has bases at ten airports in the country, claims to be Romania’s largest airline and will add a third Airbus A320 in Timisoara from September to support four new routes. Tarom has also been eclipsed by fast-growing Blue Air. Established in 2004, Blue carried more than five million passengers last year; its estimated 2018 turnover of €460m representing 10 percent growth year-on-year. Alongside its Romanian bases in Bucharest, Iasi, Cluj, Bacau and Constanta (seasonal) it continues to grow bases outside the region such as Liverpool, England; Larnaca, Cyprus; and Turin, Italy. 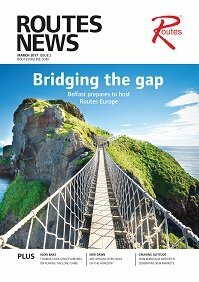 Other key players include Ireland’s Ryanair, which serves four destinations in Romania. Italian LCC Ernest Airlines began flying to Iasi International Airport from Verona and Cuneo last June. Scheduled Russian carriers, chiefly Aeroflot, maintain a strong grip on the region, notwithstanding the ban on Russian air traffic from Ukraine’s airspace. New routes include LOT Polish Airline’s twice-weekly service between Kiev Zhulyany and Bydgoszcz, Poland, which commenced last August, and Air Serbia’s service from Belgrade to Kiev Boryspil International Airport, launching summer 2019 – the first direct service between the capitals in three years. LCCs are leading the charge though. Ernest Airlines, having launched Ukraine last year, will add a third destination in March, adding thrice-weekly flights to Kharkiv from Milan and Rome. When Ryanair launched Ukraine as its 36th country this winter, with the aim of delivering 800,000 customers a year into Kiev’s Boryspil International Airport and Lviv Danylo Halytskyi International Airport, Ukraine’s minister of infrastructure Volodymyr Omelyan called it “the most important event for the national airspace over the past 20 years”. Poland is also proving a happy hunting ground for LCCs like Wizz Air, Smartwings and Ryanair, which serves 13 Polish airports. Rzeszów-Jasionka Airport saw its best ever month back in July, handling more than 85,000 passengers. This followed a boost in summer charter traffic and the return of LOT’s old US service to Newark Liberty International Airport. 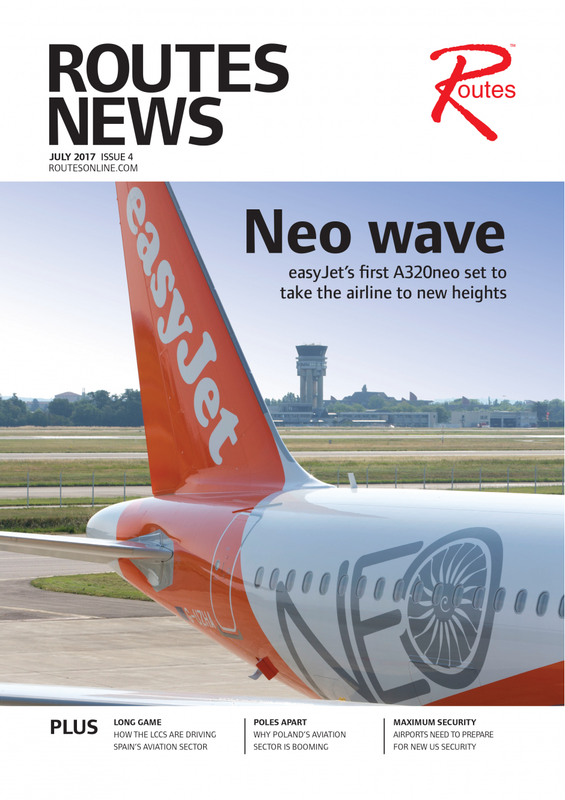 Meanwhile, Czech operator Smartwings Group has "hedged its bets" by operating both a scheduled airline, national carrier Czech Airlines (CSA), and an LCC, Smartwings, established in 1997. 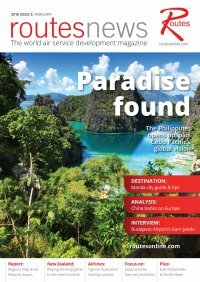 As aviation consultant John Strickland, director of JLS Consulting, has previously said, the most successful LCCs are those not affiliated to traditional carriers – and so is the case in Eastern Europe where the major player is Hungary’s Wizz Air, which flew more than 18 million passengers in the past six months of 2018 and is pursuing a breakneck growth programme. Alongside intra-regional routes such as Bratislava to Lviv, launched October, focus areas include Norway and Israel, with a new twice-weekly service this winter from Budapest to Ovda/Eilat. Other regional airlines growing Israel include LOT. LOT, which began a codeshare agreement with El Al Israel Airlines in December, now operates 21 weekly departures from Poland to Israel launched a twice-weekly Krakow-Tel Aviv service on 25 February. 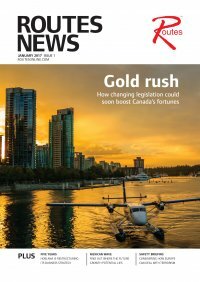 Increasing capacity Fast-growing, cost-cutting LCCs may have transformed the landscape, but legacy carriers aren’t just rolling over. 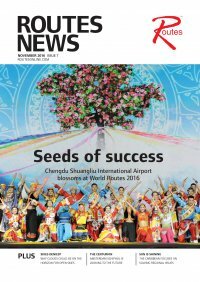 UIA reported a 15 percent rise in traffic for 2018, having carried more than eight million passengers with a load factor of 81 percent and launched new routes from Kiev such as Copenhagen, Cairo, Delhi and Toronto. This year, UIA expects to carry 10 percent more passengers, and Maksym Arslanov, UIA’s deputy communications director, downplays the threat posed by LCCs. LOT Polish Airlines expects to pass the 10 million passenger mark this year, having transported 8.9 million passengers in 2018 – twice as many as in 2016. 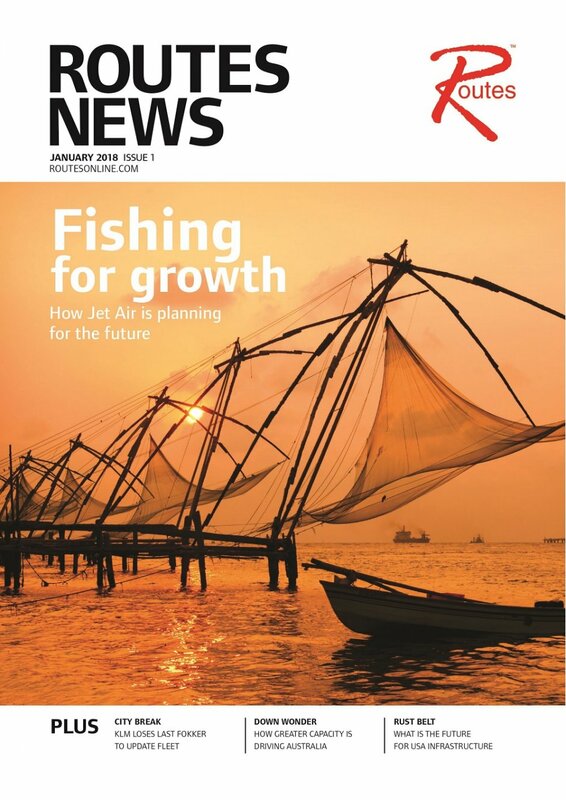 Standout routes for 2019 include the September return of its Warsaw-Delhi India service, while its long-haul growth ambitions will receive a major boost when it moves from ageing Warsaw Chopin Airport to the new Central Polish Airport, slated to open in 2027. Tarom is also fighting back. 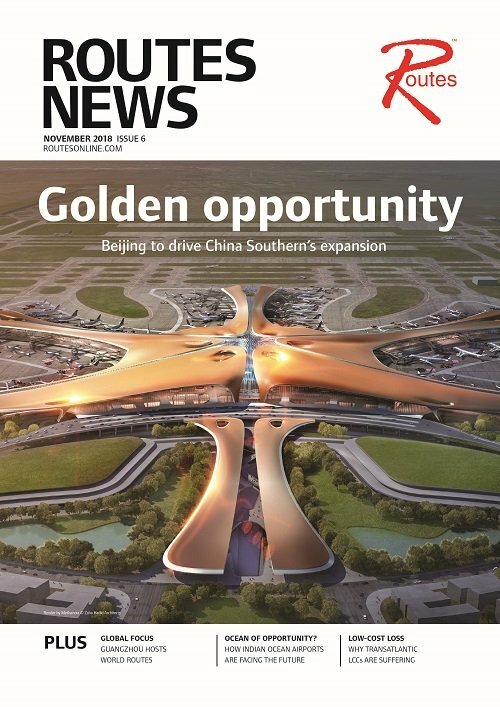 For 2018, it reported its first positive earnings before interest, taxes, depreciation and amortisation (Ebitda) since 2015, its 21 percent year-on-year leap in total revenue helped by its highest total passenger figure in a decade (2.74 million) including a 40 percent increase in passengers on its domestic network. 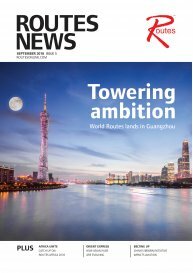 China and US routes feature in its plans for an enlarged long-haul network. 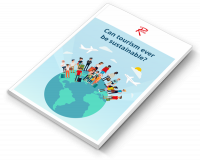 With IATA forecasting Europe’s total passenger market will grow by 2.3 percent annually from 2017 to 2036 to reach 1.5 billion, future market growth looks assured. Indeed, Eurocontrol’s European Aviation in 2040 – Challenges of Growth report forecasts most eastern European states will double their rate of annual departures per 1,000 capita by 2040, while Ukraine’s will triple from 1.3 yearly departures per 1,000 in 2015 to four in 2040. The absence of LCCs competing on long-haul routes is another positive for legacy carriers. 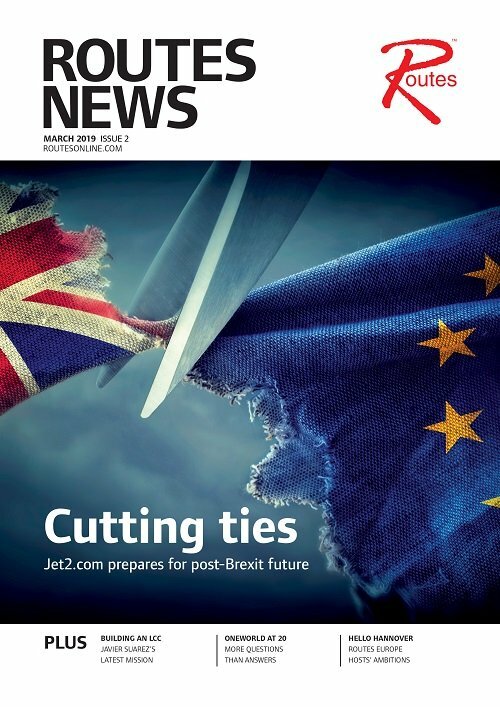 Plus LCCs themselves aren’t immune to challenges, from changing fuel prices and EU passenger compensation claim costs to uncertainty over Britain’s leaving of the EU. Indeed, January saw Wizz Air CEO József Váradi blame Brexit uncertainty while explaining the carrier’s slowed expansion and 87.7 percent fall in pre-tax profits for the first three quarters of 2018. 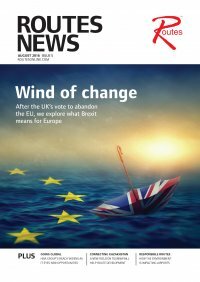 “Brexit could be a threat to the holiday market if there is a general economic downturn, combined with lower growth in Germany, France and Italy,” says Humphreys. 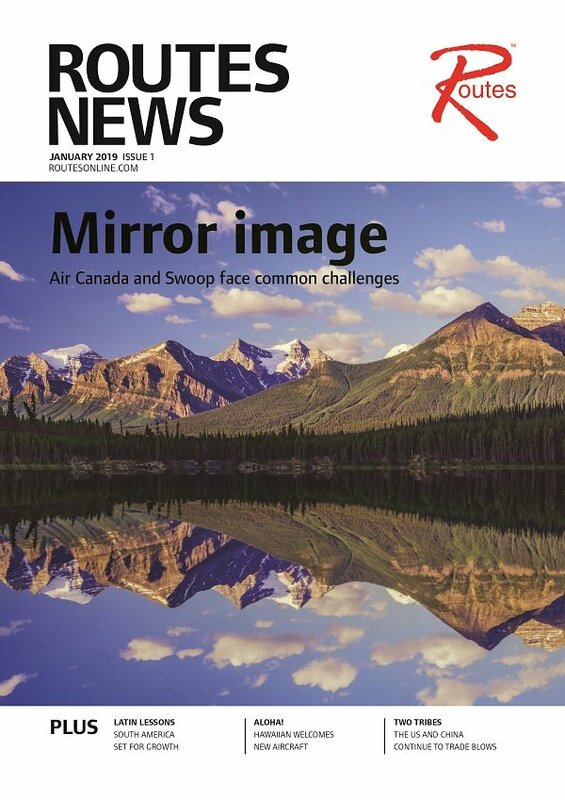 Routes News provides interviews, analysis and insight for airlines, airports and tourism authorities involved in route development decision-making. 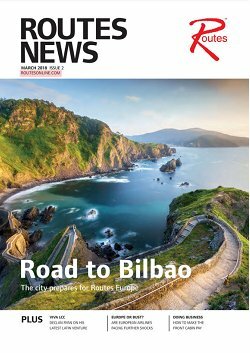 Serving the route development community for 13 years, the magazine continues to expand its presence in this ever-changing market, connecting all sides of the industry in the same way as the Routes events. Time to grow. 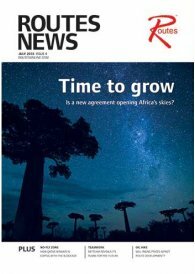 Is a new agreement opening Africa’s skies? Destination Brazil. 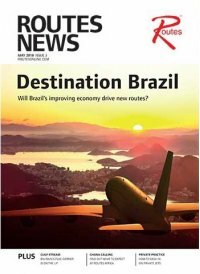 Will Brazil’s improving economy drive new routes? 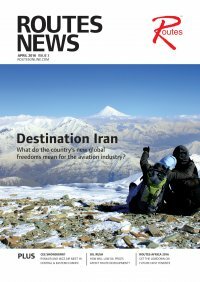 What do the Iran's new global freedoms mean for the aviation industry? 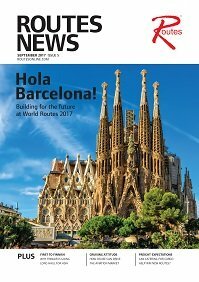 The official publication of the World Route Development Forum and Routes’ Regional events. 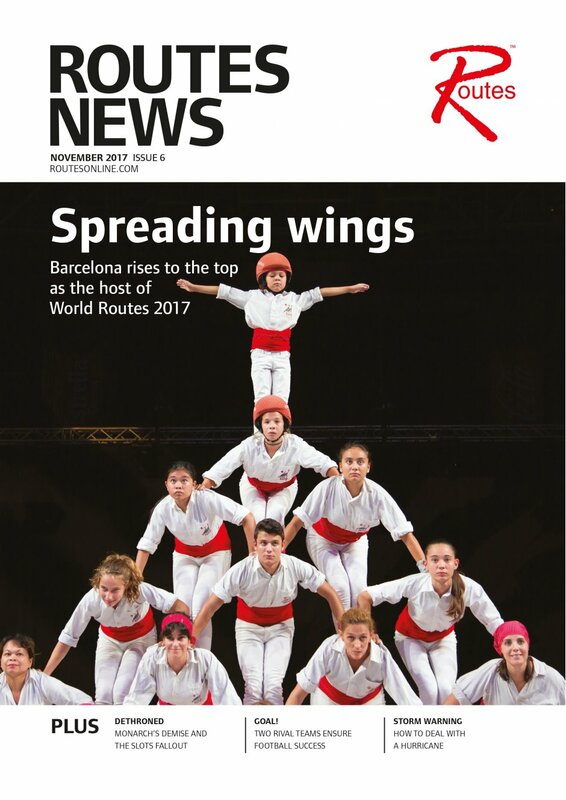 Published since 2005, Routes News is the official publication of the World Route Development Forum and Routes’ Regional events, providing topical news and features for airline and airport executives involved in route development decision making.